Z KoPlacu se na jedno odpoledne stane KosmoPlac. Budeme se bavit o financování Kosmo-Projektů. Krátce představíme Evropskou Kosmickou Agenturu a způsoby, jak získat od této skvělé instituce podporu a dokonce i nějaké peníze. Budeme také mluvit o ambicích EU v oblasti kosmických projektů a o tom, jak si sáhnout na Kosmo-dotace. KosmoPlac by se mohl líbit všem, kdo sní o vlastním projektu využívajícím satelitní signály – navigační systémy, snímkování země nebo jakoukoli formu komunikace. Srdečně zveme také každého, koho to prostě jen zajímá jako téma. 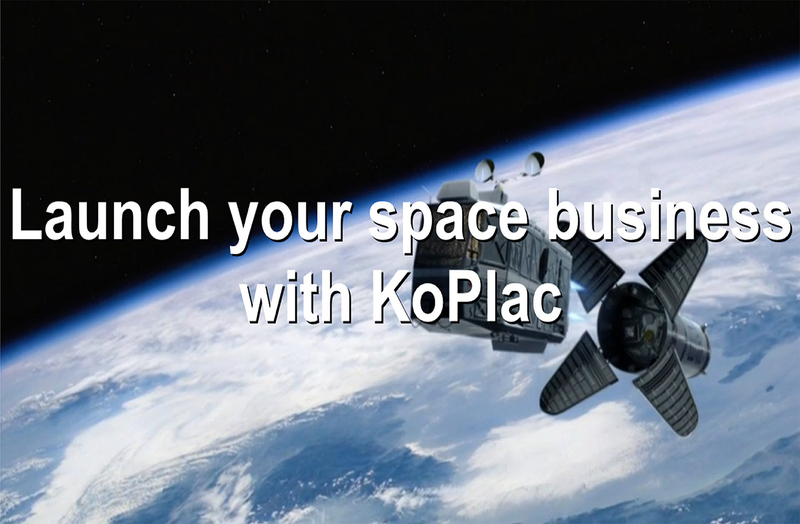 KoPlac is organizing event in which our facilitators will explain how to apply space related project for ESA grants. The event is going to be held on 18th of January in KoPlac (Prikop 2a) at 18.00 hours. After the lecture we will play Mini-Series Kosmo, a popular Czech comedy about their journey to the moon. Here is a short interview with Luděk Kühr, one of the facilitator. For how long have you been working with ESA? The European Space Agency or ESA, is Europe’s gateway to space. They are trying to develop Europe’s space capability and ensure that investment in space continues to deliver benefits to the citizens of Europe and the world. We have been working with ESA since 2012, when BizGarden became the partner with ESA for the first time. Together with our German partner, we have been surveying the capacity of Czech companies to participate in sat-com industry calls – Survey of CZ and Cooperating States’ Industry. BizGarden is a StartUp that is specialized in bulding new business models using a space technologies and a satellite signal in industry and marketing. It is located in Brno. Before this first ESA contract, we have been sponsoring the Czech Award of European Satellite Navigation Competition and this was our first contact with the European space industry and space community. In 2014 BizGarden participated in an ESA tender and we have been selected to work on Feasibility Study “Safety and Information Systems for Ski Resorts in Emerging Markets”, under the Integrated Application Promotion Programme, also known as ARTES 20. Here we already have been the Prime Contractor to ESA. What is your experience in applying for grants? Since 2007 I have been advising Czech companies in grant issues. We do this in a limited scope till today. Then we started to write also proposals in FP7 for our clients and later we have been invited to participate in Interreg programmes and in FP7. It is the short name for the Seventh Framework Programme for Research and Technological Development. This is the EU’s main instrument for funding research in Europe and it will run from 2007-2013. This was the best school we could get. Today we have even H2020 evaluators in our team. Horizon 2020 (H2020) is the biggest EU Research and Innovation programme ever with nearly €80 billion of funding available over 7 years (2014 to 2020). Tell me why are you the person to help others in space business?